Safco SAF4986TSR 10 Drawer Steel Flat File for 30'' x 42'' Documents, Tropic Sand by Safco at Momiji Studios. MPN: 4986TSR. Hurry! Limited time offer. Offer valid only while supplies last. Use to keep those oversized documents, artwork, blue prints from being damaged. Features: 10 -1-1/8'' deep drawers. Quality steel construction. 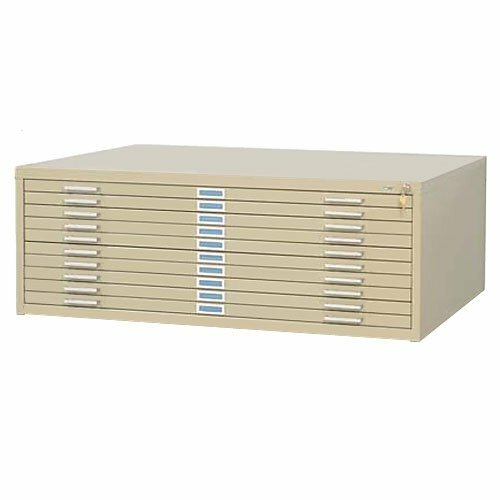 Dimond Home 150024 Four Drawer Flat File Cabinet, 29" x 16" x 32"